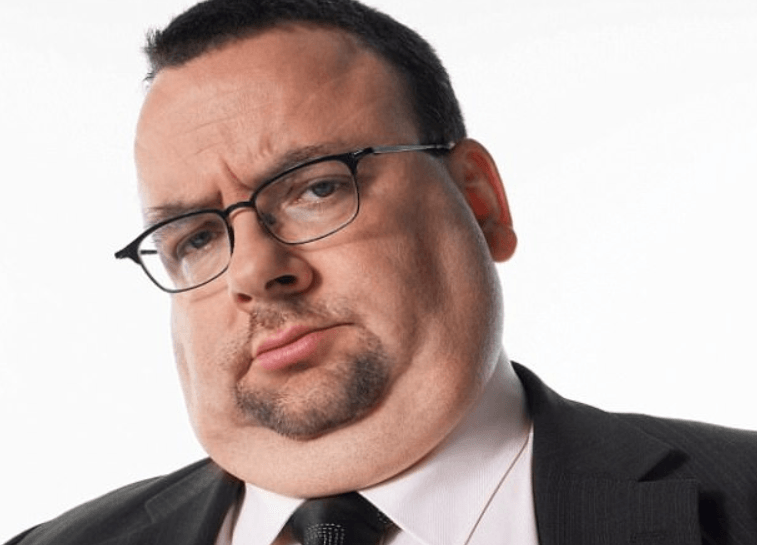 A lot of people normally think that double chin is synonymous with weight gain but there are some who have a double chin who are not obese or even overweight. 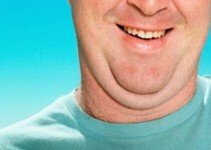 A double chin is also known as submental fat. 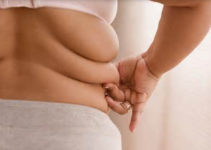 This is the condition wherein an extra amount of fat starts to form beneath the areas where fat is usually placed. Having loose skin due to aging. A lot of people still say that being overweight is the most common reason why they started to get a double chin. Do you want to know how to remove your double chin soon? Some people resort to surgery to get rid of it. The excess fat is removed underneath the chin and the skin is tucked in. It will take a few weeks before a person can truly recover but once the stitches heal, people will not have a double chin anymore. There is only one problem with surgery: there is no guarantee that the double chin will not come back. If in case the person starts gaining weight again, the double chin will start to form and appear. It will prompt the person to spend money again.This article provides you 3 easy ways to get rid of a double chin. Are you aware that using Cocoa Butter for your face and neck can cause your skin to become more elastic which means that it can be smoother and can also make your face and neck thinner than usual. Place a few tablespoons of Cocoa Butter in the microwave and let it heat up for less than a minute. Once it is warm enough, massage it on the face, neck and double chin for a few minutes. This would have to be done twice a day. It is recommended that people will do it first in the morning and before going to sleep at night. There are a lot of people who do not realize that the main reason why they are bloated and have fat faces is that they are not drinking enough water. Drinking a lot of water can take away the toxins that are left behind inside the body possibly because of the food intake and also because of the environment that people are staying in. Try to drink at least 8 glasses of water per day. You may have to drink more depending on the physical activities that you are doing. Drink water in order to eliminate your need to eat when it is not necessary. A lot of people know that egg whites are good but it seems that people are not aware that egg whites can also be good for getting rid of fats and double chin on the face. The main reason why it is good is that it has a skin tightening effect. You just need to place it on your face and your double chin and it will naturally tighten your skin. Overall, it can also make your skin better than ever. Whisk the egg and add a bit of honey, lemon juice, and milk. Apply the mask to the face and neck area. Wait for the mask to dry. It usually takes half an hour before it dries up completely. This can be done every day until you see visible results. While it is true that glycerin is often used in order to get rid of stretch marks and varicose veins, glycerin can also be effective in making sure that skin will become more elastic. Glycerin can also be used as a mask for the face and the neck to get rid of the fatty face and double chin at the soonest possible time. Mix glycerin with Epsom salt and any type of oil. Apply the mixture to the neck and the double chin. Leave on the skin until it is fully absorbed. Once there is almost no trace of the paste, the area can be washed with cold water. This can be done about 2 – 3 times a week for the best results. You may not realize this but when you chew gum constantly, you can make your facial muscles firmer. This will make it easier for you to get rid of the fat in your face and your double chin. Remember to choose the right gum because if you would take gum that is full of sugar, this may not be too good for you. Make sure that you will not chew gum 24/7 because this can be bad for your face. You can, therefore, chew gum about 2 – 3 times a day to get rid of your double chin. It has always been said time and time again. Not getting enough sleep can result in having a puffy face. This can be reduced by making sure that you will get about 7 – 8 hours of sleep every night. Having a good, restful sleep can make a lot of difference. Try not to eat about 3 hours before going to sleep so that your body will not have a hard time digesting the food. Do not drink too much water before going to sleep as well since this may be bad for your bladder. Try not to stay up late because your face can be bloated due to fatigue the day after. Now that you know the different ways by which you can reduce your face fat and double chin, make sure that you will do the things mentioned above so that you do not have to hide behind a scarf anymore. If you suspect that weight gain is the main cause of your double chin then you have to get rid of the excess weight to get your normal chin back. When was the last time that you have paid attention to your diet? Most people eat all junk and they do not consume vegetables at all. Vegetables are important and are needed by the body in order to feel full. When you recognize that you are full, you will not have weird cravings in the middle of the night. Acting on those cravings can lead to weight gain. What are your preferred desserts? A lot of people would prefer to eat cake, cookies, and ice cream but if you truly want to lose weight, just start eating fruits. It will be more filling and it will fulfill your craving for something sweet. You may be consuming refined grains all the time such as white rice and white bread. It is true that they taste amazing especially when compared to their whole grain counterparts but you will consume more fiber with whole grain that will be essential for your weight loss. A lot of people are aware that they should eat more protein especially if they want to build more muscles but you would need to eat more LEAN protein so that it can be absorbed by your body more. You can get lean protein from eating fish or poultry. Take note that when eating poultry like chicken, remove the skin from the chicken. You also have to choose white meat over dark meat for maximum weight loss. A lot of people assume that all types of fat are bad but actually, fat can be categorized into two namely good fat and bad fat. Good fat can be consumed from avocados, nuts and olive oil while bad fat can be found in all fried and fatty food that people love to consume. Good fat will allow the protein to be absorbed by the body better so you can start gaining muscle and you can get rid of the fat cells in your body for good. Processed foods are usually easy to cook and readily available but if you truly want to lose weight, avoid eating processed foods all the time. You may need to avoid it altogether if you truly want to lose weight. Unless the food is fried in olive oil or another type of healthy fat source, frying food is still the unhealthiest way to cook food. There are a lot of other methods that you can try instead that will still bring out your foods’ natural flavours. For example, you can bake potatoes instead of frying them or you can steam chicken instead of frying. With the right spices and other flavourings, the dishes you will cook will taste amazing. There are a lot of people who may consume too much sugar every day through the food that they eat. When you eat chips, you are consuming too much sodium and when you eat other junk food, you will be exposing yourself to too much sugar. It can be very unhealthy especially if you do this every single day. Have you heard of people who eat healthy food products but still manage to gain weight? They are not gaining weight because of the quality of the food that they are eating. They are gaining weight because they are consuming too much of it. You need to learn how to control your portions. You can consult charts to check how many calories you need to consume every day in order to start losing weight or to maintain your weight. A lot of people have tried these exercises already and have gotten favorable results. You need a small ball that you can place under your chin in order to do this exercise effectively. Place a small ball that is not bigger than 10 inches underneath your chin. Press your chin against the ball. Hold the position for about 2 seconds before releasing. Do this 25 times during the day. You have always been told that you need to stretch different parts of your body if you want to make it more limber or if you want to make sure that exercises will truly help you lose weight but this time, you are going to use your tongue in order to get rid of excess fat on your chin area. Put your tongue out as far as you can. Try to lift your tongue towards your nose. Some people discover that they have this hidden talent when they are able to reach the tip of their nose but whether you can do that or not, the important thing is that you can lift your tongue to stretch the chin area. Hold the position for 10 seconds before releasing. You would need to jut your jaw like as if you are trying to annoy someone or you may put your jaw up a bit as if you are trying to look up. This exercise will act like a natural facelift for your double chin. Look upwards, if you can try to raise your jaw towards the ceiling, this will be great. Hold the position for 10 seconds while your jaw is in a jut position. Do it again 10 times every day. You would like to stretch your neck in order to hopefully stretch out your double chin area and this can be effective provided that you will do this exercise correctly. Tilt your head and look upwards. Press your tongue against the roof of your mouth. Take note that you do not need to put your tongue out in order to make this exercise effective. Hold the position for about 5 – 10 seconds. Relax your tongue and go back to starting position. Repeat again for about 3 – 5 times. Take note that you should not do too much of this exercise as you may strain your neck. This will seem like you are kissing the ceiling but of course, you will be too far down in order to reach it. Tilt back your head and move your jaw towards the ceiling. Pucker your lips. Once again, it would seem like you are kissing the ceiling so that you can stretch the muscles underneath your mouth. Stop puckering and bring back your head and your mouth to its normal position. If you would like to emphasize that you want to lose your double chin, this may be the best exercise for you to do. It will be similar to the normal jaw jut but the main difference is how you would be using your bottom jaw more. Tilt your head again and start looking at the ceiling. You can turn your head towards the right. Slide down your bottom jaw. Go back to normal position. Turn your head towards the left and slide your bottom jaw again. You may do these exercises alternately depending on the amount of time that you have. You can formulate a routine wherein you can do some of these exercises on a daily basis. If these exercises will be effective for you, you will be able to get rid of your double chin effectively. Facial exercise work but it’s take too much time for a result so that’s why I am using face thin tool from facethin.com I using that tool for 5-10 minutes a day, everyday. really got good result within 1week it;s really awesome.